Discover a powerful, connected camera that puts creativity, control and premium quality in the palm of your hand. Delivers DSLR-like performance and versatility from the body of a compact Wi-Fi camera. With legendary heritage, the flagship G1 X Mark III features a unique blend of DSLR speed, quality and resilience with lightweight PowerShot handling. The compact PowerShot G series all share at least a 1.0 type sensor and superior DIGIC processing to deliver premium quality results in the palm of your hand. The PowerShot G1 X Mark II features a large, 1.5-type sensor and a sharp, bright f/2 zoom lens, capturing the highest quality images with DSLR-like performance and versatility. 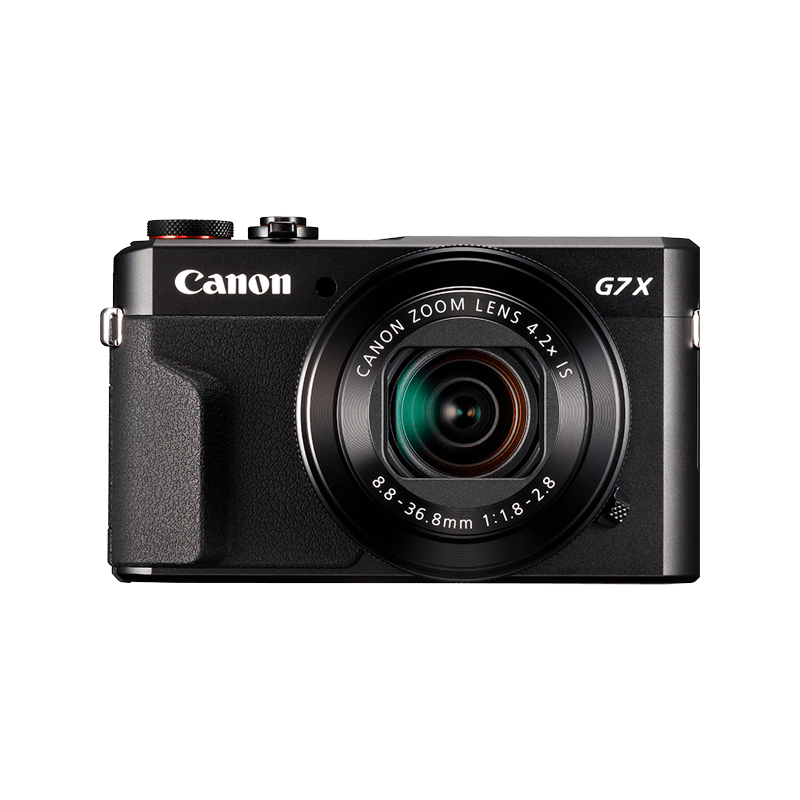 The PowerShot G3 X combines the image quality of a large 1.0-type sensor with the framing flexibility of a 25x zoom lens for stunning close ups and cinematic movie recording. Fast, bright optics combine with high-sensitivity sensors and powerful DIGIC processors to help you master low light. DIGIC 7 delivers expert image quality by enabling ultra-fast AF and EOS-like in-camera image correction and processing. It also offers enhanced subject detection for assured tracking as well as improved stabilisation with Dual Sensing IS. Canon’s PowerShot range uses larger sensors, delivering exceptional low light performance. The G1 X Mark III even uses an APS-C sensor similar to one found on the EOS 80D, producing images to rival a much larger DSLR. Enjoy complete creative freedom, from composition to editing. Our large sensor compacts offer customisable controls that give immediate access to useful functions, plus advanced features like RAW file support and built-in optical ND filter. Create cinematic footage in Full HD and achieve steady results even when running with 5-axis movie IS. The G1 X Mark III with Dual Pixel CMOS AF delivers smooth and precise focus and accurate subject tracking as it moves across the frame. Use the always-on Bluetooth®* to wake your camera from your smartphone and track your journey using GPS via Mobile. Shoot remotely with full manual control on your smartphone via Wi-Fi, plus print and back up to the cloud directly. A range of special accessories is available to further your creativity, plus compatibility with other accessories such as Canon Speedlites give you even greater artistic power. Make the most of your Canon compact camera with everything from lens hoods and filter adapters to soft cases and more. Stay connected on the go. Upload, print and backup images directly from your camera or pair it with your smartphone or tablet for instant sharing. Take your next steps in photography and video, exploring advanced features that will help you shoot unique and beautiful images. Easy to carry and packed with powerful optical zooms our compact travel cameras let you capture and share your travel memories in superb quality. * Always-on connection between smart device and camera via Bluetooth® requires initial set up with Canon Camera Connect app. Stability of the Bluetooth® connection depends on model of smart device and other environmental factors. The Bluetooth® word mark and logos are registered trademarks owned by the Bluetooth® SIG, Inc. and any use of such marks by Canon Inc. is under license. Other trademarks and trade names are those of their respective owners. Compatible smart device requires Bluetooth® version 4 (or later) and running iOS 8.4 (or later) or Android 5.0 (or later) with latest Canon Camera Connect app installed (available from Apple App Store or Google Play store). Not all features are available on all cameras.